Our fitters have just completed a job in a school in Salford. 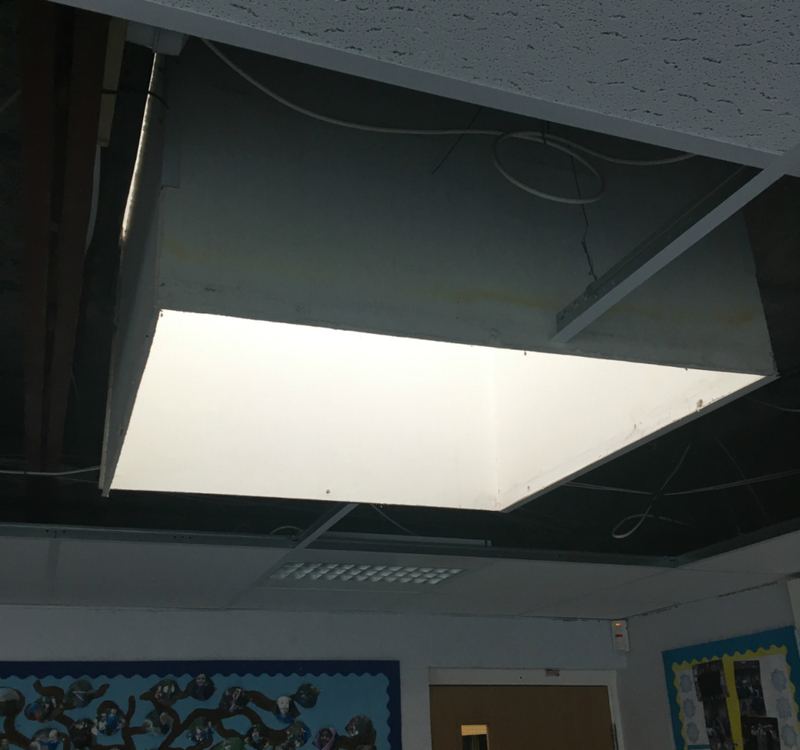 The classroom needed a new suspended ceiling to be built around a skylight that was cut into the ceiling to let more light into the room. 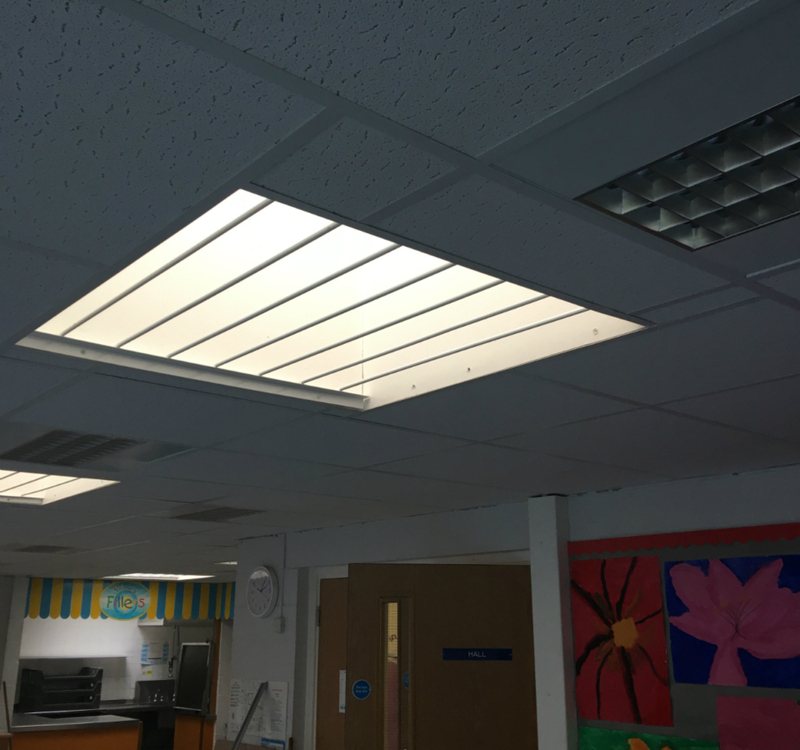 Our fitters installed a Armstrong Tatra suspended ceiling tiles and a white grid for those suspended ceiling tiles at the customer’s request, as this was fitted throughout the rest of the school. The school were very happy with the results.